The Lowry, Salford, Birmingham Hippodrome and Sadler’s Wells have formed a partnership called The Movement to programme high-quality large-scale dance, supported by a range of audience development initiatives, including the creation of social media content. Three film companies based in each of the partner venues’ areas have been commissioned to create short films which challenge preconceptions of dance, with the aim of demystifying the art form, and encouraging more people to try dance at their local theatre. The first film (‘What does a dancer look like?’) was launched on Wednesday 4 October at 4pm, and can be seen on The Movement’s social media channels on Facebook and Instagram or on Sadler’s Wells’ YouTube channel . ‘What does a dancer look like?’ has been created by Koala, based in St. Pauls Square, Birmingham, and utilises the talents of local artists. 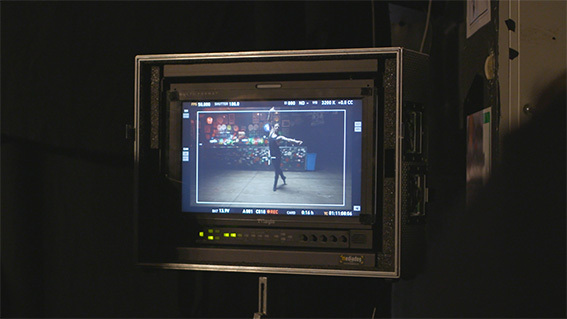 Solihull-based choreographer Catriona O’Brien was recruited to work on this film, and has been dancing and teaching in the local area for many years. The performers in the film were discovered through a call-out to local networks, and were cast to represent a diverse group of dancers from the local area. Gemskii is a trained hip-hop dancer, and although she had retired 10 years ago, seeing the casting ad for the film encouraged her to come out of retirement. “When I auditioned for The Movement film I felt the surge of inner well-being that vigorous dancing gives. Initially I felt completely out-classed by my fellow dancers having not dancing professionally for over 10 years, but taking part in this project has resulted in my pledging to attend tap classes for a year, because improvement and practice in ‘art’ brings joy and joy is something no one can have too much of!” said Gemskii. Further films are to be released in the next few months, and will all appear on The Movement’s Instagram and Facebook profiles. The Movement have produced new commissions in Debut, from Carlos Acosta’s new company Acosta Danza, which is touring the UK now. Debut appears at The Lowry on 12-14 October, and at Birmingham Hippodrome on 18-21 October. For full tour dates read more here. Supported by Arts Council England, The Movement aims to nurture talent and bring large scale dance productions to even wider audiences. To read more about The Movement, visit our website .